In the motor protection switches didactics module, prospective electronics specialists practice on real equipment, enabling them to truly master the subject of motor protection. This allows them to learn in a practical way how to avoid overloading motors and thereby prevent downtime. In modern production plants with high throughput rates, downtime caused by motor overload can quickly become extremely costly. This means that prospective electronics experts (MT, EBT, EMA, EAT, EAFT, EGS) need to familiarize themselves with motor protection measures. 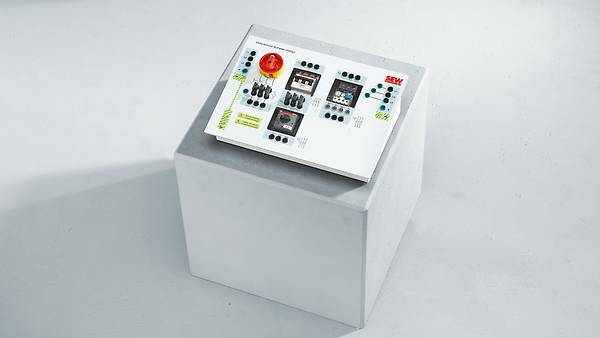 In accordance with subject area 8 "Selecting and integrating drives," we have developed a modular didactics concept with industry-standard equipment. The motor protection switches (MSS) didactics module is one of six sets of electromechanical teaching aids. Prospective experts learn in a clear way what they can do to protect lines and motors in machines and plants, and then practice what they have learned. 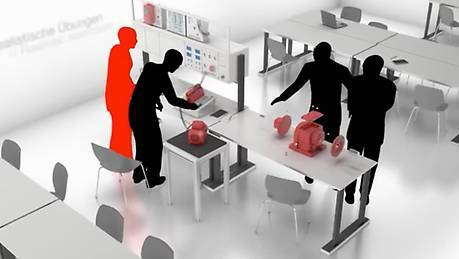 The didactics module MSS enables exercises to be carried out with a line-powered drive or in frequency inverter operation. Industry-standard protection elements, such as a three-phase miniature circuit breaker, a motor protection switch, and a thermal overload relay, ensure complete practical relevance. The circuit breaker, which can be locked for safety, supplies the module with 400 V. The students can tell by the indicator lamps whether a voltage is present during each phase. Through the use of industry-standard components and protection elements as well as the visibility of all electrical equipment. With a tailor-made teaching aid that enables specialists to safely operate sophisticated automated systems. Thanks to safe situation of all live components and lockable circuit breakers.